Not often do quality opportunities arise to purchase a restaurant on Fort Myers Beach. That is why buyers need to act quickly when restaurant opportunities become available that are located in popular Florida tourist destinations, like Fort Myers Beach. only what the income potential is and has been, but also where the restaurant is located and how that location can help in the success of your purchase of a business. What makes this restaurant different in terms of demographics of the area? Very few locations in Southwest Florida will offer a greater opportunity to succeed in the restaurant business than Fort Myers Beach. 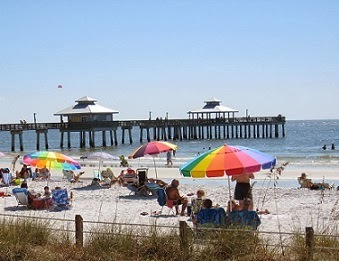 Fort Myers Beach and Southwest Florida in general has seasonal residents and tourists that come to the area primarily January through May. This is what local residents call “season”… The best time to buy a restaurant on Fort Myers Beach is prior to the start of season. This will help new ownership capitalize on increased revenue opportunities and help them get through slower months in the summer. When it comes time for buying or selling a Fort Myers beach restaurant, contacting a qualified business broker at Truforte Business Group is always a great place to start. To get started or to learn more visit us at Fort Myers Beach Restaurants for Sale or www.TruforteBusinessGroup.com .